DETROIT September 11, 2014 -- Thom Connors, regional vice president and general manager of SMG/Cobo Center, announced today that Greg DeSandy has joined the Cobo Center staff as the new director of sales. DeSandy, a Detroit native and MSU grad, brings 30 years of sales experience in convention center and hotel facilities with such organizations as Marriott, Radisson and Westin Hotels & Resorts, and most recently, the Augusta Georgia Marriott and Augusta Convention Center. He brings leadership in convention center sales initiatives, and hotel and association partnerships with an emphasis on top line growth. “Greg has all of the experience and qualifications we are looking for in the director of sales position, and as a native Detroiter, he is passionately committed to being a part of the city’s incredible comeback,” said Connors. 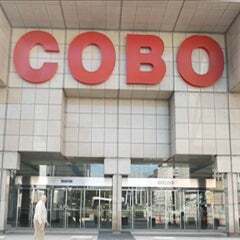 As director of sales, DeSandy is responsible for promoting the use of Cobo Center. 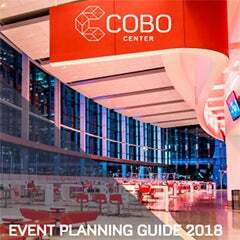 In addition to leading the sales team at Cobo to increase facility booking and maximize economic impact on the local area, he works closely with the Detroit Metro Convention Visitors Bureau sales team and area hospitality partners. “It is an exciting time to return to Detroit. I see so much energy and creativity present, and intend to tap into that spirit and play a role in continuing to make things better here,” said DeSandy. 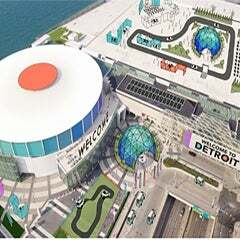 Working with Cobo Center’s governing authority, the Detroit Regional Convention Facility Authority (DRCFA) that is in the final phase of its $279 million renovation, DeSandy provides leadership and coaching to the sales team with his core belief in continuous improvement. About SMG: Since 1977, SMG has provided management services to more than 220 public assembly facilities including arenas, stadiums, theatres and performing arts centers, equestrian facilities and convention, congress and exhibition centers. Visit www.smgworld.com for more information.